Neal Street Business Centre is located opposite a tube station providing quick access to the underground network. The surrounding area is filled with plenty of local amenities ranging from unique shops, cafes and restaurants. Within the office space there is a reception that offers support including call answering services, IT assistance and welcoming clients to the building. Meeting rooms can be found on-site and are available to hire for an hour or daily. Furniture comes as standard for all the serviced offices for let and can be rented anywhere between 3 months to a year. The suites are also accessible twenty-four hours a day. 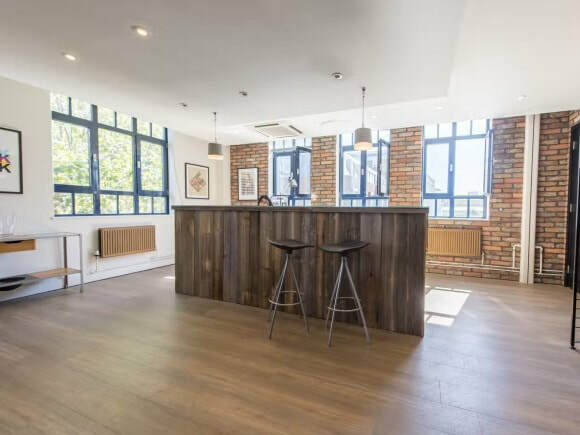 Additional features such as security systems, VoIP telephony and office cleaning can also be found at this office rental.